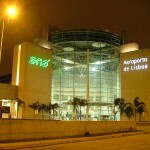 With world class car rental service and most reasonable rates, we are a trusted car rental broker in Portugal. We partner with top car rental companies, thus bringing a wide fleet of cars to choose from. Our fleet of cars includes segments like small, mid-sized, economy, 4*4, sedans and other luxurious SUVs and convertibles. If you are ready to book your rental car, then use our booking form to select the pick-up location, search deals and cars availability, and to choose the best. Our booking procedure is easy and quick, and keeps your rental experience hassle free. Once known for the Seafaring Kingdom, Portugal is settled along a fantastic coastline, which makes it a fabulous holiday destination. Discover this diverse country which has numerous beautiful beaches, high-end mountains, engrossing historical sites and a lot more. From stunning Lisbon city to interesting museums and monasteries in the other parts, Portugal holds up some of the best tourist destinations of Europe. No matter how much you explore, the attractions offered by Portugal are so wide that you will be always short of time to visit all. For shopaholics, Lisbon is the best place to find clothes at affordable prices. 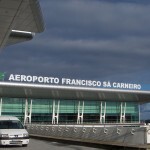 Due to the vast range of attractions, a rental car is the most preferred commutation option in Portugal. Guide Map to few rental locations in Portugal. 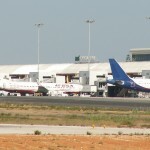 For more use booking form above. 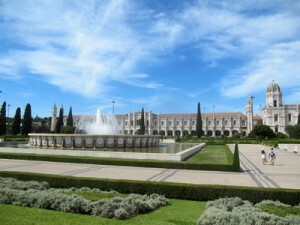 It is a family-friendly destination which is located in Lisbon. 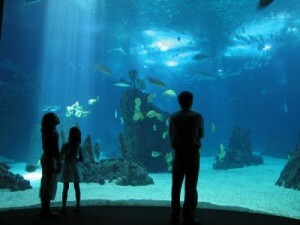 This is a visible oceanarium where world’s diverse marine species lie in the same harmony. A symbol of expansion of the country and a tribute to Vasco de Gama, who discovered a sea route to India. This monument is a must see attraction in Lisbon. 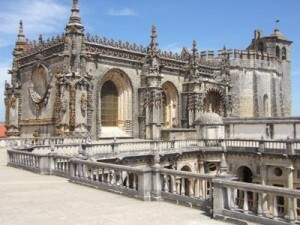 Convento do Cristo was founded in 1160, and it highlights the town of Tomar. This historic attraction appeals visitors with its magnificent architecture and a centrally located church. A pilgrim site comprising a church, monument, fountains and several statues. 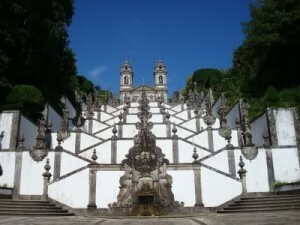 Bom Jesus do Monte is a spectacular place to visit all year round.